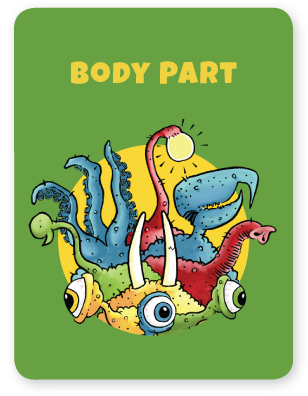 of the Body Part cards! The Body Part cards (52) are used during the Build Phase. These are the cards you attach to your creature. You can exchange three Body Part cards for a new body during the Build Phase. 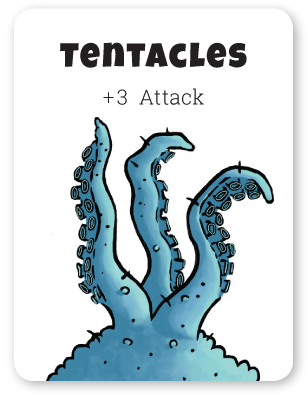 Tentacles are a very good attack card but have no defense UNLESS the card is color-matched to the body it is attached to. 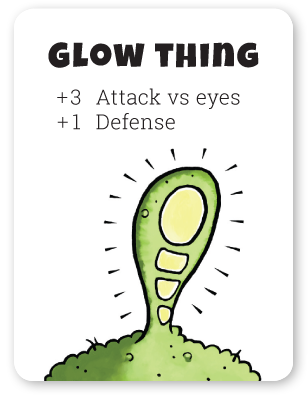 Glow Things are a very good attack card against eyes but have little defense and do not work against creatures without eyes. Snouts are a low-level card that is much better when color-matched to the body it is attached to. 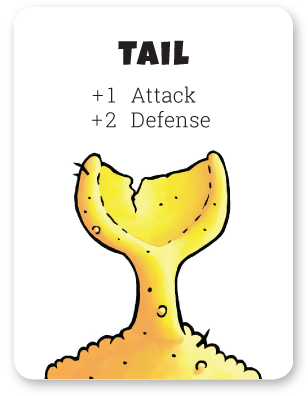 Tails are a medium-level card that is better when color-matched to the body it is attached to. The horn is the best defensive card in the game. 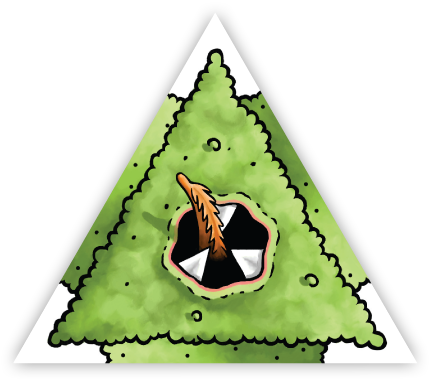 Getting one of these on your creature, particularly when color-matched, is a defensive master stroke. 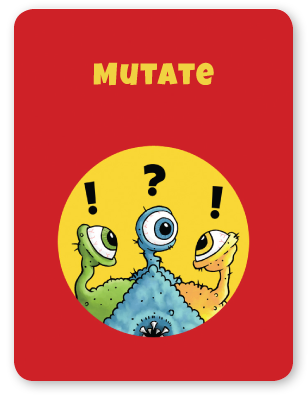 The Mutate cards (48) are used during the Mutate Phase. These are the cards you use to change the creatures (both yours and your opponent's). You can exchange three Mutate cards for one Body Part card during the Cleanup Phase. Need to free a spot on your creature for that Eye? Colors not matching and you need to get that green Tail onto that green body? Maybe you aren't loving that Genitalia or Pain Receptors your opponent stuck on you? 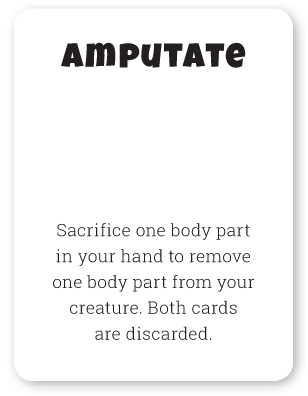 Well this is a great card for you — sacrifice a Body Part card in your hand to amputate that undesirable one from your creature. There are two of these cards in the Mutate deck. A great card to bring down an opponent especially if they have NO Body Part cards in their hand. 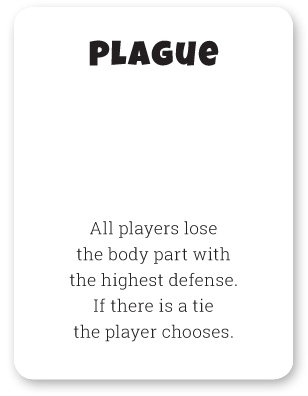 When this card is played, if the opponent does NOT have any Body Part cards in their hand the body part is placed in the discard pile, otherwise the opponent gets to keep it in their hand. 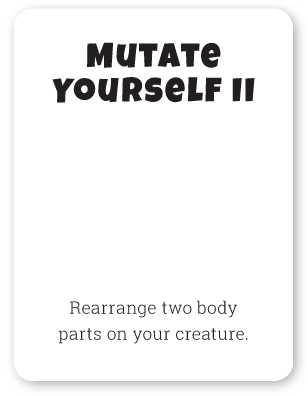 Play this card to remove a particularly strong body part or disrupt a color-matching body/body-part combination on your opponent's creature. There are five of these cards in the Mutate deck. This is a very important card if you have multiple bodies but is useless when you only have one. It allows you to rearrange two body parts to match up colors with the bodies — to get the extra bonuses and reduce the cost for another body. A particularly devastating card that can be used to great effect in many instances! 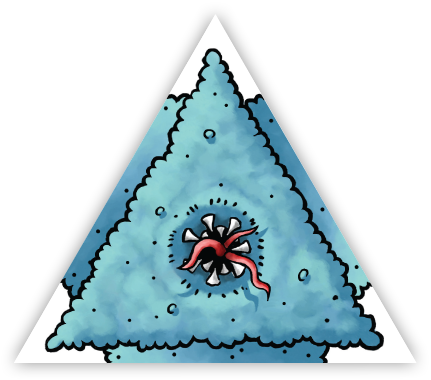 Every player removes the body part from their creature that has the highest defense — this takes into consideration color-matches. If there is a tie, the owner of each creature determines which of their body parts to lose. Stop an opponent from winning the game by having them remove one of their body parts — especially a color-matched one! Use it to get rid of a body part on your creature (space for a color-match) while hurting your opponents. Level the playing field if your opponent's defenses are getting too high. There is only one of these cards in the Mutate deck. The sponges must have been particularly amorous recently and there are a lot of those little guys around! 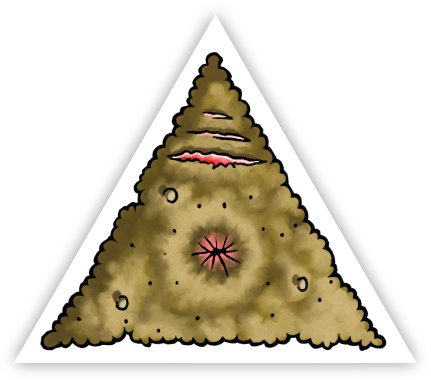 Any creature's spikes just don't seem to have the same effect when covered in baby sponges. All spikes are useless this turn and should be flipped over. 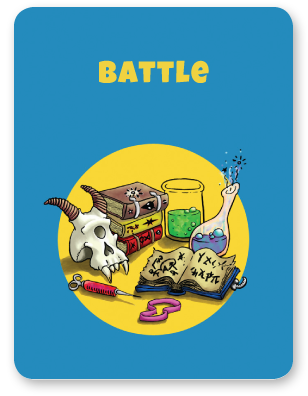 The Battle cards (50) are used during the Battle Phase. 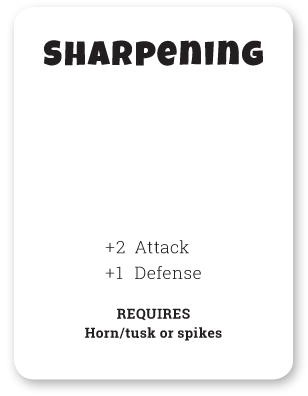 These cards usually affect the Attack and Defense statistics of the creatures and can be very important in changing a battle. You can exchange three Battle cards for one Body Part card during the Cleanup Phase. 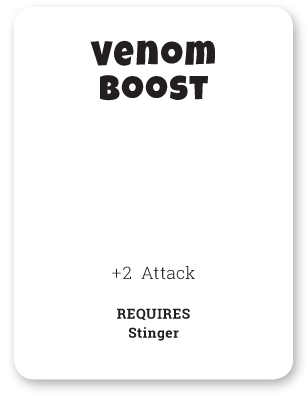 If you've got Stingers and are attacking an opponent then this card is perfect for you! If you're defending, this card will not help. There are two of these cards in the Battle deck. Genitalia are rarely a good choice for a body part on YOUR creature. However, if you have this card you can make them the best card in the game... for one battle at least. Great for when attacking and even better when defending. 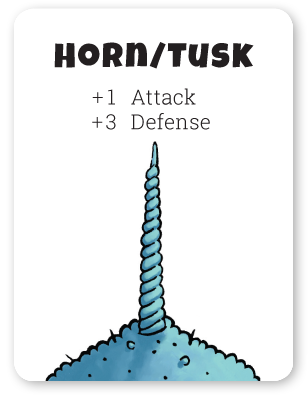 This is a more versatile Battle card as it affects both Horn/Tusk (can be seen in the Body Part Deck) and Spikes. Use this if you have either and especially if you have both! Slightly better for when attacking but still good for defending. 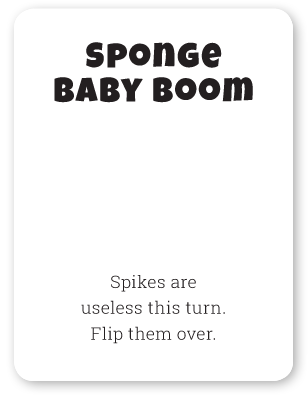 One of the dirtier cards in the game and a great way to pit opponents against each other! 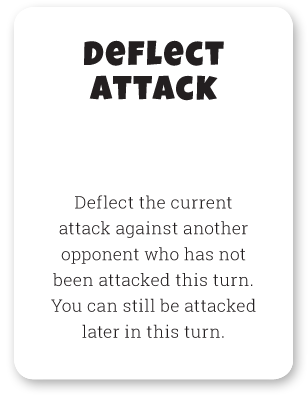 With this card you can evade an attack and redirect it to another player. It does not count as an attack against you however, and you can still be attacked later in the turn. There is only one of these cards in the Battle deck. 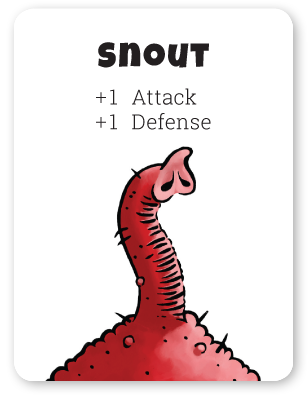 A good card when attacking or defending — if the creature's have the right body parts. 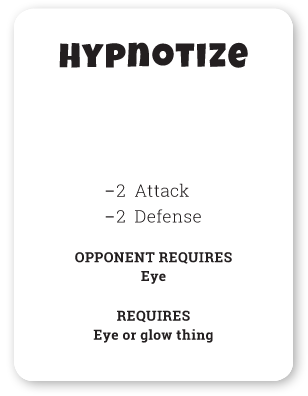 Your creature must have an eye or a glow thing (can be seen in the Body Part Deck) whereas the opponent's creature must have an eye for the hypnotize to work.